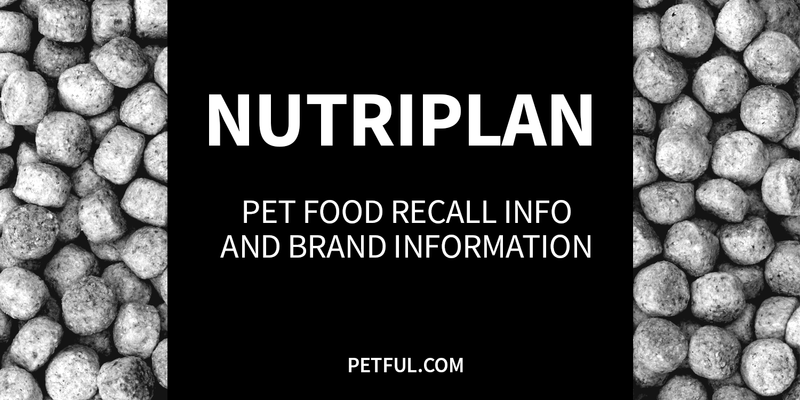 Nutriplan was a store-brand pet food owned and marketed by the SuperValu superstore chain, which includes labels such as Shop-N-Save, Cub Foods, Lucky, Jewel-Osco and Farm Fresh, among others. In 2010, Nutriplan was discontinued along with the Happy Trails line, and both were replaced with the WholeCare Pet line of pet food. Yes. In 2007, the Nutriplan line was included in the massive Menu Foods recall due to melamine contamination. A generic overall warning to retailers carrying the product was issued by the FDA, as the brand was carried in multiple locations across the country. Chicken Cuts & Gravy dog food, 13.2 oz. Beef Cuts & Gravy dog food, 13.2 oz. Chicken and Rice Cuts & Gravy dog food, 13.2 oz. Sliced Beef & Gravy dog food, 5.5 oz. Stew Cuts & Gravy dog food, 13.2 oz. Beef Slices and Gravy dog food, 13.2 oz. Flaked Tuna Dinner cat food, 3 oz. Sliced Beef & Gravy cat food, 5.5 oz. Sliced Chicken & Gravy cat food, 3 0z. and 5.5 oz. Did You Have a Problem With Nutriplan?